Ginger Co2 oleoresin is obtained from super critical fluid extraction of Zingiber officinale and it is widely used in health products as anti-inflammatory and antioxidant. It is used in food products whenever high pungency is required and it provides relief for nausea and digestion disorders. 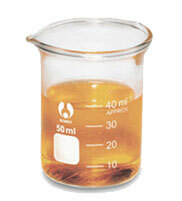 It is reddish brown oily liquid with characteristic odour and the part used for extraction oleoresin is the rhizome. Ginger is the underground stem or rhizome of the plant called Zingiber officinale and widely used as a medicine in Asian, Indian and Arabic herbal tradition since olden times. It is widely used to help digestion and treat stomach upset in China and it is also used for treating diarrhoea and nausea for more than 2000 years. Ginger has been in use from ancient times to help treat arthritis, colic, diarrhoea and heart problems. Ginger is also popular as a cooking spice all over the world and is widely used for treating cold, flu, headaches and painful menstrual periods. It has been in use as a culinary spice for more than 4000 years and it is a plant which grows in fertile, tropical and moist soil. 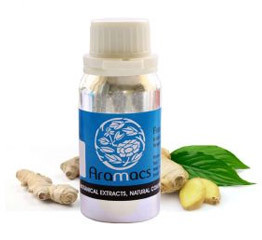 Ginger is a native of Asia and is widely recommended by professional herbalists to prevent and treat nausea and vomiting connected with motion sickness, pregnancy and after effects of chemotherapy. It is also used for treating mild stomach upset and studies have shown that ginger reduce knee pain in patients with osteoarthritis. Ginger Co2 oleoresin is very good for knee pain and studies have proved that but people on blood thinning medications called anticoagulants and people who are at risk of bleeding should consult the doctor before taking ginger products. Ginger Co2 oleoresin has widespread uses as flavouring agent in food, beverages and medicines. The use of oleoresins over natural spices is because of the advantages oleoresins hold over the spices. Oleoresins have increased economy in use and provide a uniform flavour and concentration and it does not have microbial contamination. Replacement of organic solvents like hexane, ethyl acetate and chlorinated hydrocarbons with gentle solvent like supercritical Co2 is popular because of the environmental point of view. Ginger oil is warm, spicy and energizing but with pungent odour. Ginger comes from the Zingiberaceae plant family and this is perennial herb which grows up to three to four feet high. The plants have narrow spear shaped leaves and white and yellow flowers with small tuberous rhizomes with thick and thin brown skin. The flesh of the root can be white, red or yellow depending on the variety of the plant. Ginger has a mention of it in even the 4th century BC Indian Sanskrit classic The Mahabharatha. After many years ginger is said to have been exported to the Roman Empire and then traded in Europe by the Arab traders. Ginger is also used in sweets then and now and in the 13th and 14th century along with black pepper, ginger also became a popularly traded spice. History says that a pound of ginger could be traded for a sheep.